LIVE VIDEO: Obama Leads Rally For Andrew Gillum - Joe.My.God. As the 2018 election season nears a close to the final full week of candidate, Democratic gubernatorial candidate Andrew Gillum will have a big name beside him during an event in Miami on Friday. 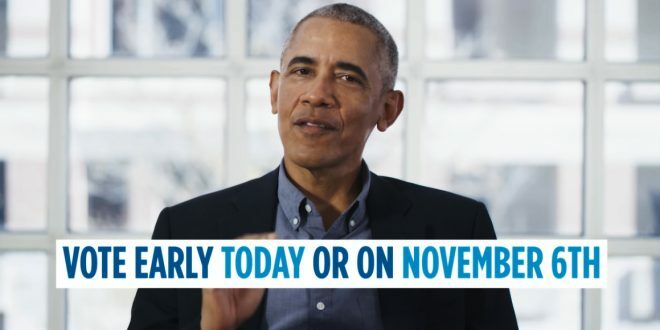 Former President Barack Obama will attend a rally at the Ice Palace film studio near Downtown Miami, where he will urge voters to cast their ballot for Gillum – who is seeking the become the state’s first black governor and the first Democrat to win in two decades – as well as U.S. Sen. Bill Nelson, who is locked in a tight race for reelection against current Gov. Rick Scott. Start time seems to be 2PM.